Over the past couple months, I have learned that being selfish makes me a better wife and mother. How Being Selfish Can Help You! I am a doer. I am my family’s giver. However, after a trip to the doctor, I learned that the constantly putting the needs of others around me before my own was actually going to cause me to be placed into an early grave. After talking with my doctor and husband we all decided that it was a time that I become a little selfish. To stop allowing myself to be placed on the back burner. 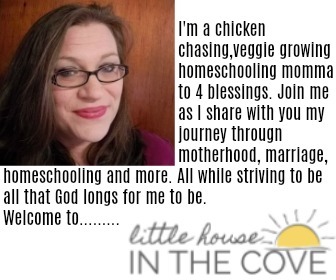 Started taking time for me daily: As a homeschooling momma of 4, this is almost unheard of. Yet, so I am learning I needed it. So every day I do something I love. Sometimes I sit outside alone, walk around our property and yes FB fans I spend time with my chickens. At night once the children are in bed I curl up to a book for 30 mins before bed. I have learned that these things help keep me relaxed. Made changes to my early morning routine: Instead of doing my devotions and then rushing right into the things that needed to be done I am now doing my devotions, sipping on a couple cups of coffee (in silence) and then starting my day. It helps to ensure that I begin my day peacefully. Changed my diet and added more exercise: Believe it or not one of the things that have helped the most is cutting out some of the food I was consuming because I was too rushed to eat things that were going to give my body real nourishment. Now I am eating healthier (while causing my family to join me) and exercising daily for 30 mins (while causing my children to join me). This is putting me on top of my A game. I am working less: I am still a virtual assistant but no longer am I working long hours. Instead, I am learning that I need to say no. I am sticking to my work times and shutting down the computer when it doesn’t work times. This is keeping me focused on where I need to be and when. Not to mention it is helping me find that extra me time. It would seem that adding this new selfish side would be adding more to my plate but nope….. Instead, I have more energy, in better spirits and little by little I am improving my overall health. This, in turn, has caused me to be a better wife and mother. Not because I am being selfish but because I am being more selfish with my time I am beginning to feel like my old self again. To Help You On Your Journey Be Sure to Grab Your Free Personal Tracker! It is about time you are learning to take better care of yourself. You will feel stronger and more mentally alert. It really is OK to take some time for your needs. Even Jesus broke away from his followers. Don’t feel guilty. Your kids really will be better off because of it. From what I have seen by your stories and posts…. Because you will be thriving. They will grow because you are.